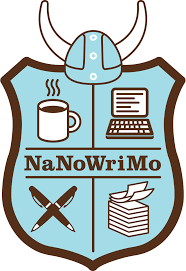 My first time with NaNoWriMo. The tips and resource are most awesome. Can’t wait to start. I’m on the fence as to if I want to try this for the first time; I’ve considered it before but not tried. I don’t know if I have the time to commit to it but, man, I’ve always wanted to to write a book! Go for it. This is a first draft thing. You don’t have to worry about typos, research or all of that. It’s a first draft and keep in mind that first drafts normally stink, but it’s getting your story down that counts. THEN, once it’s over with you start the process of making it great. 50,000 or 1,667 words per day on average. Some days you’ll rock out a ton, some only a few. One thing to remember, never leave your WiP without knowing what you’re going to do next, in other words, don’t write until you are out of ideas for the day. Then when you sit down next time, you’ll be off and going and the characters and story will tell you what to do.